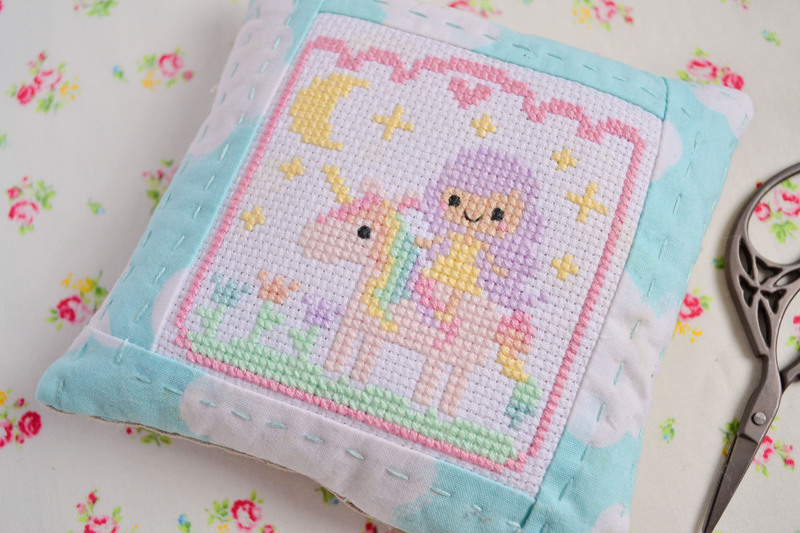 I recently had the delight of coming across The Frosted Pumpkin Stitchery which sell the cutest cross stitch patterns EVER! 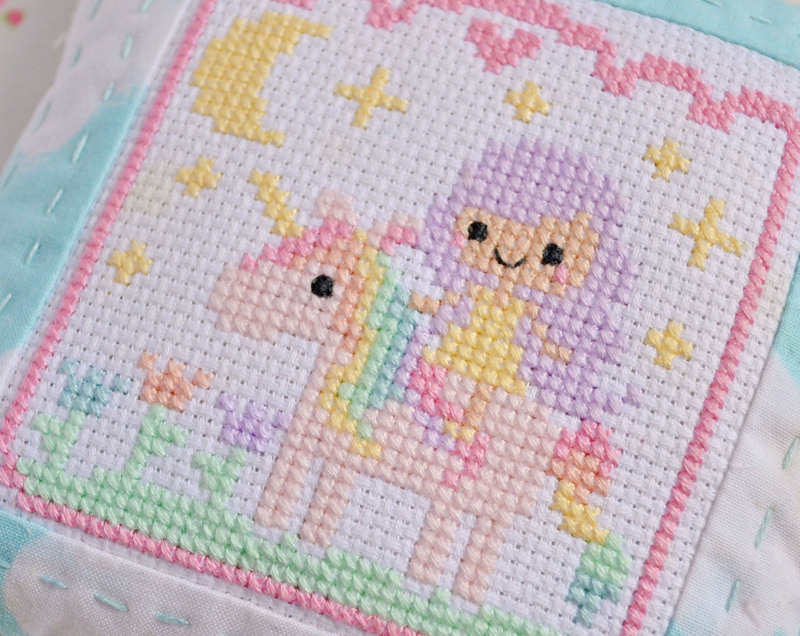 After recently enjoying some cross stitch from The Liberty Cross Stitch book I knew I had to give these patterns a try, the hardest part was picking which one! I initially signed up for a Christmas Stitch along which you can see here but as that doesn’t start until the 14th of November I wanted something to do in the meantime. I picked the pattern Legendary Friends. Now because I didn’t have the blue aida/ linen that was suggested for this pattern I had to improvise with the colours a bit, but it actually worked out really well and I’m very happy with the results. I love these pastel colours! I know we are now in autumn and my colours should reflect that but for me pinks and pastels win every time! 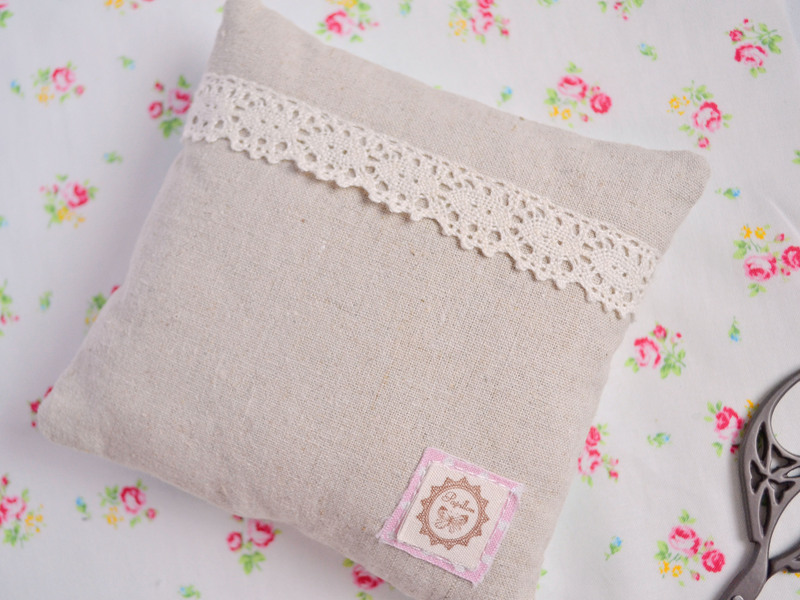 I couldn’t let the back go unnoticed even if it is going to spend most of its life under my pillow, linen and lace another of my favourite combos! 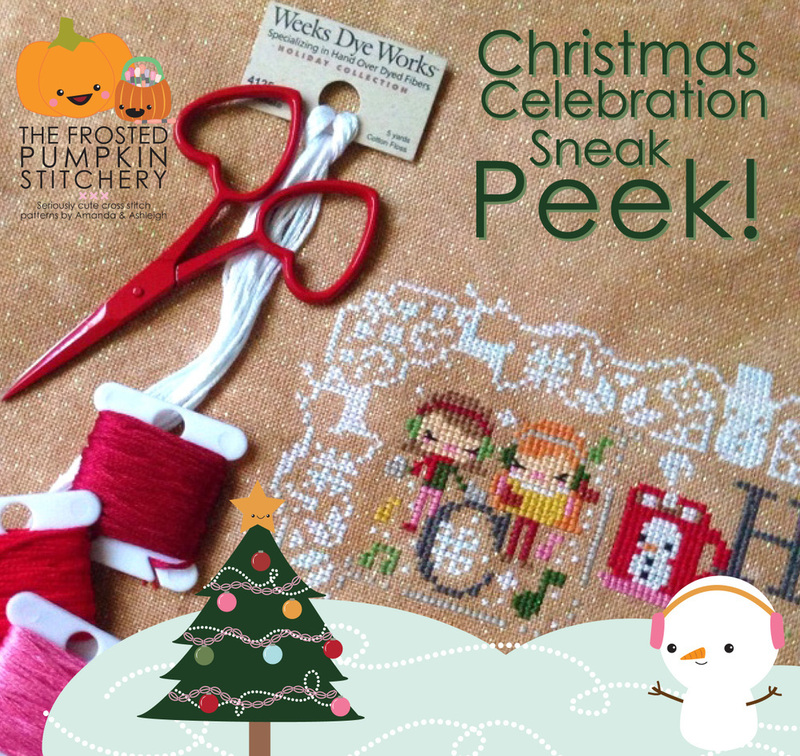 Here is a sneak peek of the Christmas Stitch.. I must have a pair of those scissors too!! Very cute! I would have gone crazy if someone had made me this when I was a kid. OMG That is the cutest! That is adorable! I may have to put one of these on my craft to-do list. What colors did you use vs the ones they suggested? I’m thinking about stitching this and was thinking about changing the colors and I love the ones you chose! Such an adorable finish! I recently completed the same pattern and finished it as a flat ornament.